Directorate of NSS and the SOA (deemed to be university) here on Sunday. “It is important to discover yourself to connect to the society,” Prof. Soumendra Mohan Patnaik, Vice-Chancellor of the Utkal University, told more than 200 NSS volunteers drawn from 21 universities of 10 states including hosts Odisha. “Aspiring to become extra-ordinary is an ordinary wish. You can scale greater heights by remaining ordinary,” he told the students. Prof. Ashok Kumar Mohapatra, eminent neuro surgeon and SOA’s Director (Health Programmes) and Mr Jagadanand, eminent social worker, were the guests of honour at the programme which was presided over by the Vice-Chancellor of SOA, Prof. Amit Banerjee. 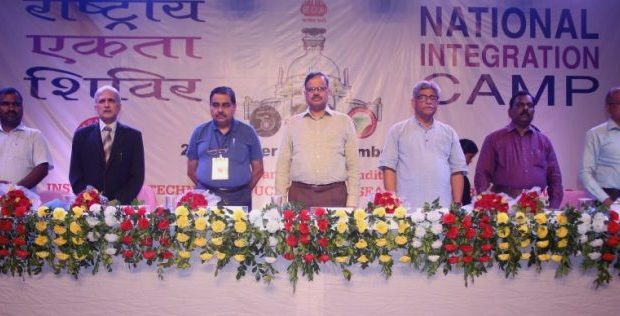 Mr. R.Gokulkrishnan, Regional Director of NSS, Dr. Jyoti Ranjan Das, SOA’s Dean (Students’ Welfare) and SOA’s NSS Programme Coordinator Dr. Nachiketa K. Sharma also spoke.